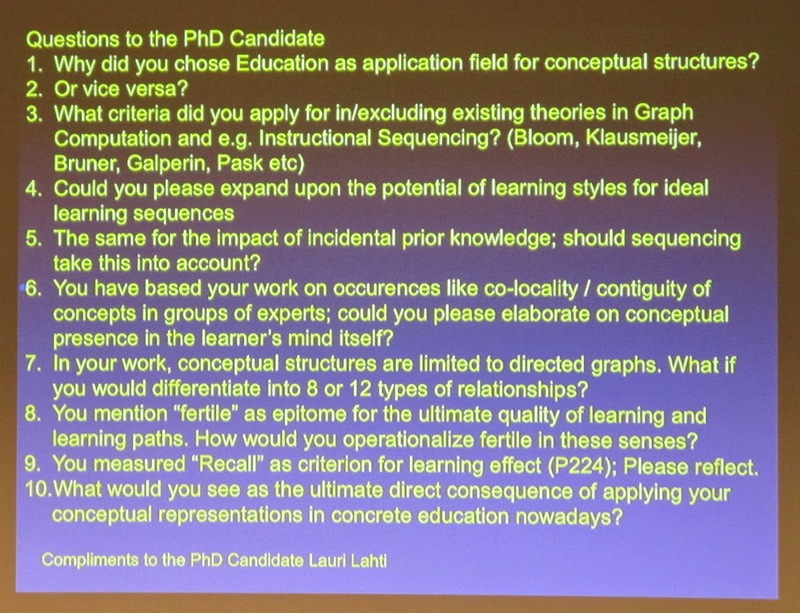 Lauri Lahti defended his PhD thesis "Computer-Assisted Learning Based on Cumulative Vocabularies, Conceptual Networks and Wikipedia Linkage" in the field of Computer Science and Engineering. 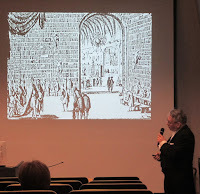 As the opponent serves Associate professor Piet Kommers, University of Twente, the Netherlands, and as the custos Professor Jorma Tarhio, Aalto University, Department of Computer Science. 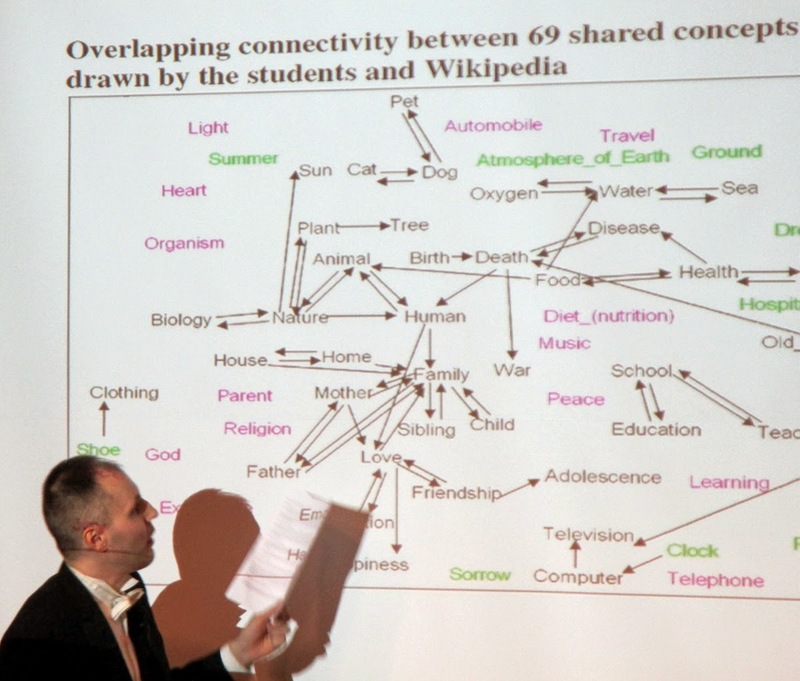 In the thesis, it was found that conceptual networks of students, common language and Wikipedia inherently emphasize different themes that should be addressed when developing learning methods. 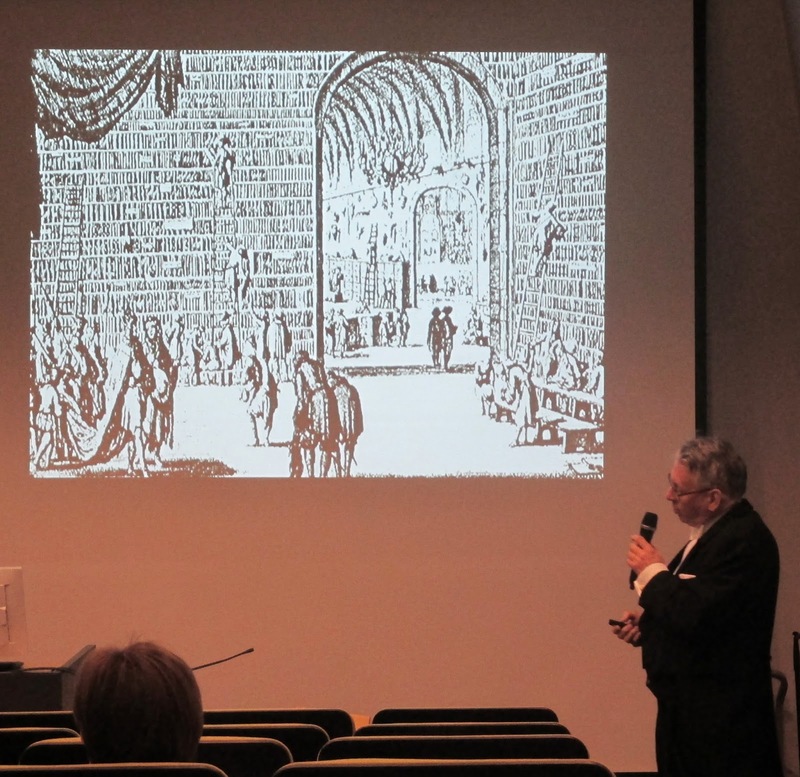 In his lectio precursoria, Lahti discussed the motivation and different aspects of his work. His motivation stems from education. A central task he considers is how to travel through a conceptual network during learning. At later stages of the work, Wikipedia became an important resource. In the work, educational methods developed that are inspired by the collaboratively maintained knowledge structure of Wikipedia. Moreover many of its features and contents related to representing, exploiting and mimicking were used. 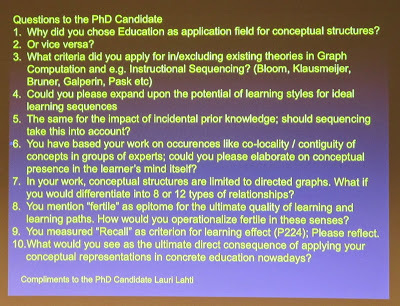 Due to Wikipedia’s many unique characteristics, Lahti considered Wikipedia to offer much more than just a mere encyclopedic reference for factual information but a holistic framework for knowledge representation. One can, for example, compare mind maps created by students at different stages of learning and the Wikipedia as a socially constucted holistic resource. The opponent discussed the relationship between literature and the keywords that are used to characterize the knowledge contained in the documents. This is an old question that libraries have solved in various ways. The basic question is how to link individual words with objects like books the contents of which are very complex and multifaceted. Prof. Kommers had made the defence easy to follow by preparing the questions beforehand and by presenting them in one slide. The questions were discussed one by one, however widening the scope or delving into details whenever necessary. Among other things, various aspects related to networked representation of knowledge, students' use of it, measuring learning results, and different theories of learning were discussed. The opponent specifically mentioned Gordon Pask's work. With Heinz von Foerster and others, Pask was an early cybernetician who paid careful attention to systems theoretical aspects of complex phenomena. A central critical point by the opponen was related to the limitations of using recall as a means to study learning. He asked about the potential of using the knowledge, for instance. in active problem solving. In general, the opponent found the work substantial and warmly recommended it to be accepted.